The U.S. State Department’s 2018 Trafficking in Persons Report recognises that survivors of trafficking often suffer from long-lasting psychological and physical symptoms. It calls for a trauma-informed approach to be incorporated across all anti-trafficking efforts, including during the criminal justice process and while providing victim services. A new report by Oxfam reveals that the modern food system has the most detrimental impact on female labourers, concentrated in the lowest paid and most insecure roles. For example, over 90 percent of women workers surveyed in seafood processing plants in Thailand reported not having enough to eat during the previous month. The 2018 KnowTheChain benchmark of 40 global information and communications technology (ICT) companies finds a disconnect between their policies to prevent labour abuses and its implementation. While over half of companies surveyed prohibit worker-paid recruitment fees, only five could provide evidence that fees were reimbursed to workers. Agriculture accounts for 62 percent of children in hazardous work worldwide, according to a new report by the International Labour Organization. In particular, pesticide exposure is common in agricultural work and can have a long-lasting impact on children’s neurobehavioural and physical health. A report by the Institute for Human Rights and Business explores the recruitment process that takes low-paid migrant workers from Nepal to work in the Gulf states. It highlights the gap between law and enforcement, with most migrant workers continuing to pay recruitment fees upwards of $600 which is seven times the legal maximum. A report by Every Child Protected Against Trafficking provides an overview of the state of modern slavery affecting children in the UK. 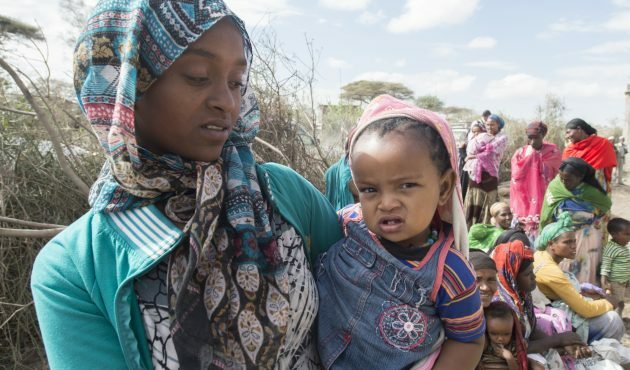 A journal article in BMC Pregnancy and Birth explores the linkage between early marriage and adolescent childbearing in Ethiopia. An investigation by the Worker Rights Consortium finds that major apparel companies in Bangalore, India have failed to act on reports of abuses against women in their factories. Sign up to support the 50 for Freedom campaign and help millions of children, women and men reclaim their freedom and dignity.